The achievements of Scottish women will be celebrated at a reception held by the Secretary of State for Scotland David Mundell. 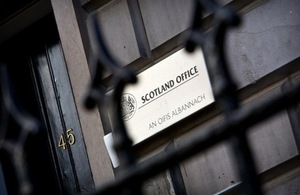 Held in the Scotland Office’s London headquarters, Dover House, the event on International Women’s Day will bring together Scottish women from business, politics, academia, research and other fields. We have made great strides in achieving greater gender equality – progress of which we should be proud. But, of course, there is much more still to be done to achieve absolute equality for women – both at home and abroad. I am very pleased that, on International Women’s Day, we are celebrating the achievements of all the Scottish women who have worked hard to make their mark in their field, be it in science, business, politics or academia. Professor Lesley Sawers and Anne Richards will both speak at the event. Professor Sawers is a leading expert on civic innovation and womenomics, and the author of an influential report on the impact of women in the Scottish economy. She is executive chair of GenAnalytics Ltd, an economic research and innovation consultancy focusing on workplace equality and diversity. She is also an honorary professor at Glasgow Caledonian University and a non-executive director of the Scottish Environmental Protection Agency. She will speak on ‘womenomics: economic case for equality’. Ms Richards is currently global chief investment officer with Aberdeen Asset Management, taking up a new position of chief executive officer at M&G in early June. She will speak on ‘Myth busting stereotypes and opportunity for all’. Over the last twelve months in Scotland we have made significant progress against a number of actions identified in the Sawers Review. This has included the establishment of a Joint Ministerial Working Group on equalities, the introduction of transparency in pay gap reporting and an increase in the number of women on private and public Boards. The International Women’s Day event at Dover House provides an opportunity to celebrate these achievements and to focus on our priorities for the coming year. International Women’s Day is not FOR women, it’s ABOUT women, and is for everyone. A pledge for parity giving men and women equal choice and opportunity to take part in both home and working life will allow BOTH to reap the economic and societal benefits.